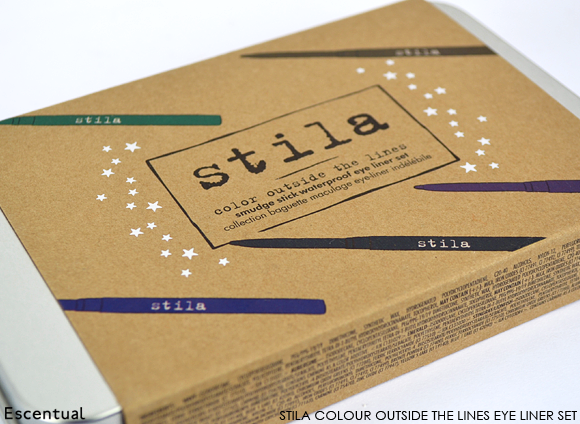 Of all of the gift sets I look forward to at Christmas, the limited edition offerings from Stila are up there with my very favourites. There’s no mixing of different products, some of which you may like, some you may not. Instead, they offer shade selection kits of some of their biggest products, which is perfect for make-up artists and those who love to switch up their look a lot. 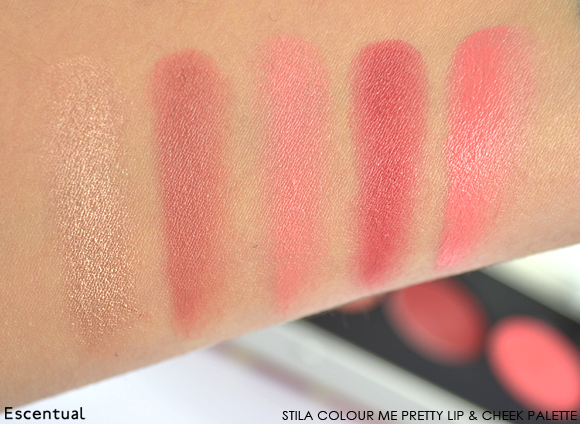 I’ve taken a closer look at my two favourites from the new collection: Stila Color Me Pretty, a palette packed full with creamy Convertible Colours for lips and cheeks, and the Stila Color Outside the Lines, a set of Smudge Stick eyeliners in pretty on-trend and classic shades. 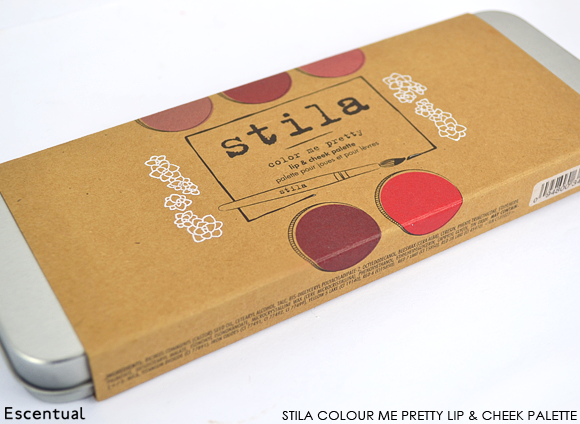 My favourite gift of the two is the Color Me Pretty Lip & Cheek Palette, which contains five of Stila’s best selling Convertible Colour cream blushes. Though it’s a palette that’s going to be appealing to most make-up fans, I can see it could be catnip for those who love the colour variety of palettes but don’t wear eyeshadow (me), and for those who suffer from dry skin in the winter and want to avoid powder blushers (also me). 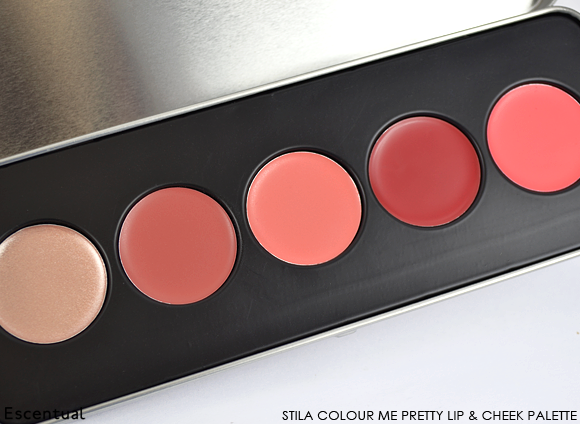 A palette full of cream cheek colours is something of a rarity! Stila has definitely had fun with the packaging of their gift selection this year. Each set draws inspiration from a different aspect of an artist’s tool kit – on this occasion, a tin of watercolour paints. It’s just a fraction too big to carry around daily in your handbag and it doesn’t have a mirror (it’s more of a get-creative-at-home sort of product), but it’s not so big that portability is off the table. My favourite thing about the palette is that it’s wipe-clean friendly, which is important for a product you’re going to be mostly applying with your fingers. Lift the lid to reveal some time-honoured Convertible Colour favourites, from shimmering, limited edition Kitten right the way through to flirty Petunia. Though there’s just five shades, the range is varied and will suit most skin tones. There’s endless mix-and-match potential here, too, as these colours blend beautifully together. The formulas are quite firm, which makes for impressive pigmentation, but you may need to perfect your blending if you’re thinking of mixing shades together. 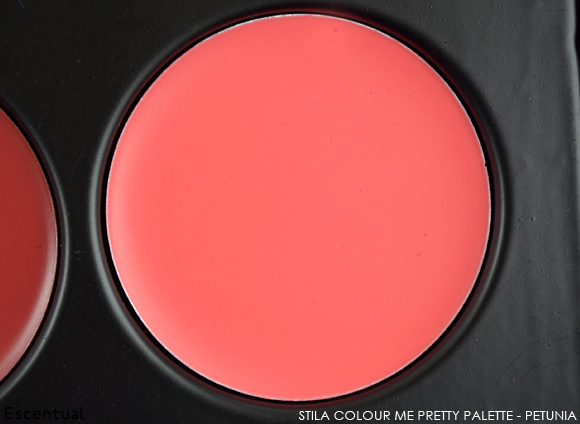 Though is looks a quite pale and intimidating in the pan, Kitten is probably the most versatile shade. The sheer champagne glimmer makes an excellent highlighter, and can be mixed with any of the other shades to perk them up and add some dimensional gleam. I’ve also been mixing it with the other shades as a sort of carrier colour when I’m in a rush, meaning more effortless blending without any colour blocking. 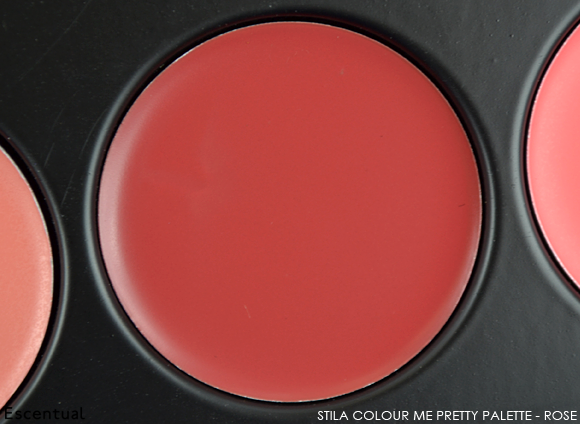 Peony is the most grown-up shade in the palette, imparting a deep rosewood flush that looks expensive and sculpted. This also looks beautiful dabbed on to the lips. If you’re loving the shade but need a bit more liveliness, enhance it with a touch of Kitten or Petunia. Gerbera is a long-standing favourite shade of Escentual customers, and it’s not hard to see why. This vibrant peach is a miracle worker for tired and dull complexions, infusing a healthy-looking flush that looks so youthful and fresh. If you want a peach pout make sure your lips are well prepped – it gives quite a matte finish. 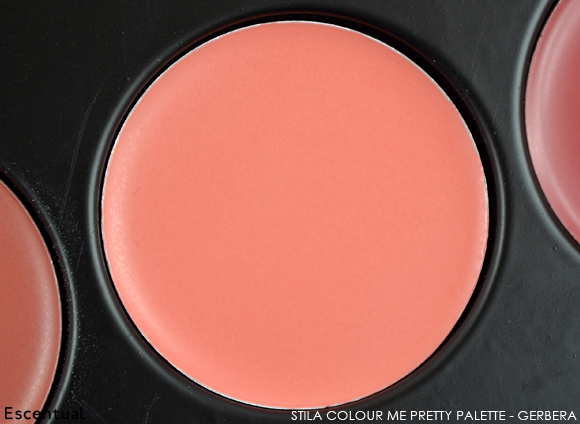 Rose creates a quintessential rosy flush reminiscent of cheek stain. Though quite a deep red in the pan, it blends out to become more of a sweet pink-red. 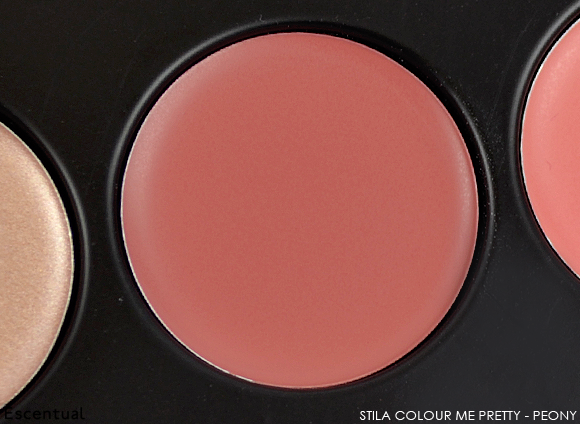 This one looks especially beautiful when worn on the lips. Of all of the colours in the pan Petunia is probably has the softest texture. It has more of a glossy finish on the lips and cheeks, meaning it blends effortlessly but is slightly less pigmented than its sisters. That being said, it provides such a pretty coral pink flush and it just lasts and lasts. You can see just how pigmented the shades are here, and how Petunia on the far right is slightly different in finish. Warm each Convertible Colour up with your finger and dot onto the cheeks for a natural finish, or blend out with a firm brush for a more seamless, sculpted look (I’ve been using the Real Techniques Expert Face Brush) . This is such a dream palette for blusher fans – and I’ve saved the best news for last… it’s just £19.50 for the entire tin! It’s the gift of the century. Another thoughtfully created gift set, this time for the eyes. 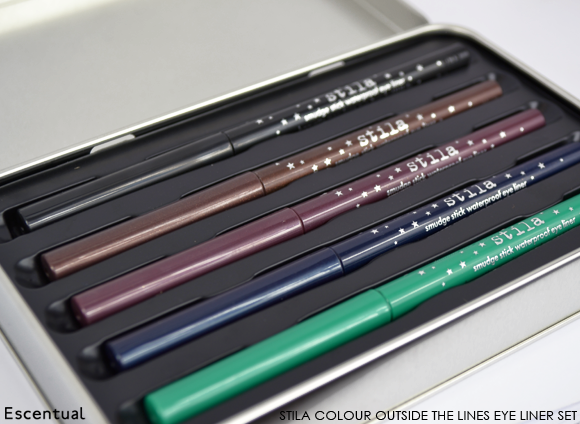 The Stila Color Outside the Lines Smudge Stick Waterproof Eye Liner Set showcases five shades of Stila’s hard-working eyeliner pencils to suit all occasions. It’s a great gift for someone who loves colour! 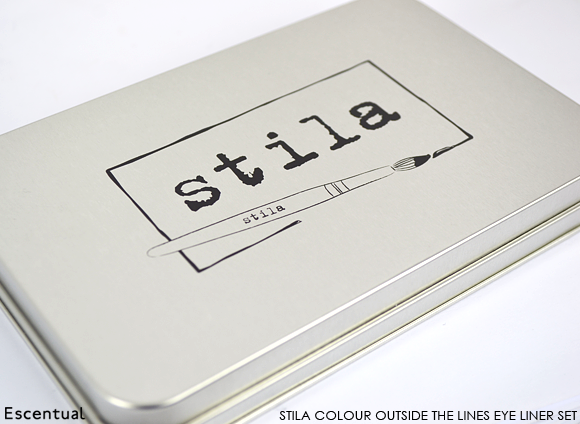 Like the Cheek & Lip Palette, this gift set comes in a handy tin inspired by an artist’s tools – this one resembling a tin of drawing pencils. I love this packaging. The scuff-resistant brushed metal is so durable, and when you’re done with the contents they make great storage tins. Each full-sized, precision-tipped Smudge Stick is really pigmented and quite soft, which delivers a clean, precise line of colour just where you need it. 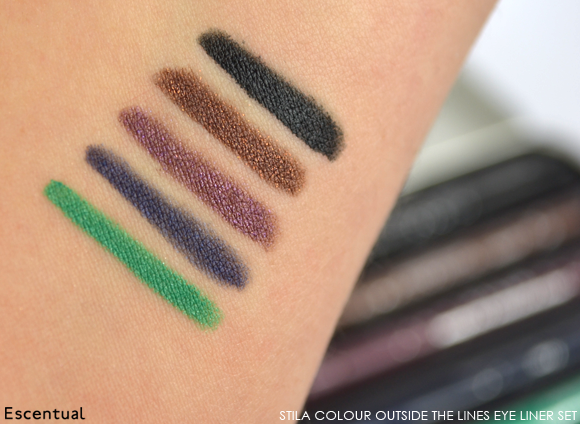 The Smudge Stick is one of my favourite eyeliners to use simply because it’s so reliable. Want a quick deep purple cat’s eye flick and a bright green waterline? 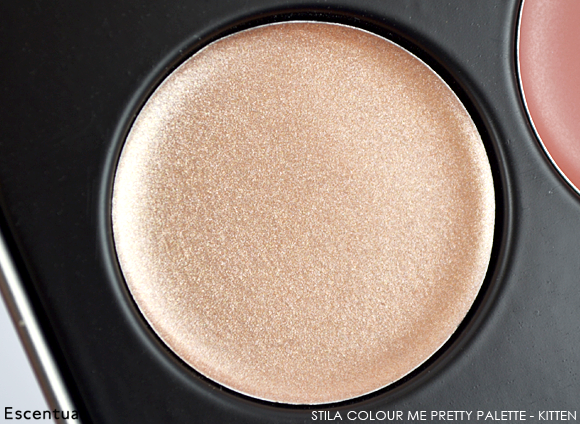 Stila will get the job done beautifully, and it’ll last for ages, too. From left, the set includes Emerald, a vibrant green with subtle shimmer; Navy, a deep, metallic blue-black; Aubergine, a metallic violet with shimmer; Lionfish, an intensely shimmery bronze-brown; and Stingray, a true matte black. The colour goes on vibrantly and stays vibrant all day, with no need for touch ups (unless you’re colouring the waterline). 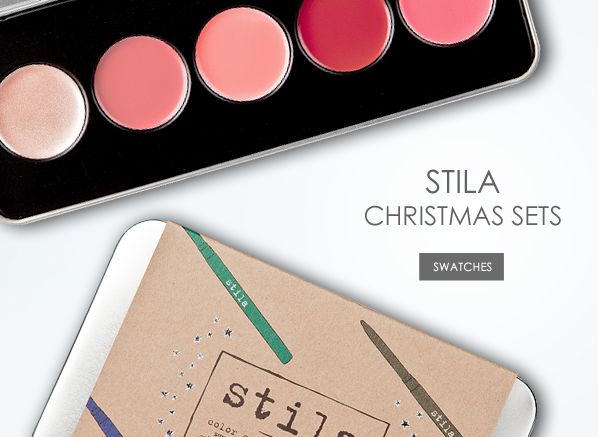 The other gifts sets in the Stila Christmas collection are well worth checking out, too. For Lip Glaze fans, there’s a set of 9 (yes, 9!) 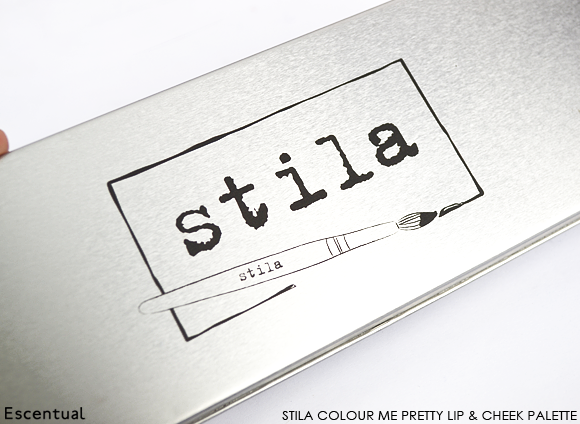 juicy colours available in the Stila Color Me Glossy Lip Glaze Set, and a lovely, full-size brush collection, the Stila Tools of the Trade 5-Piece Luxe Brush Set. It’s a small collection of gifts from Stila, but an incredibly well edited one. This entry was posted on Thursday, November 14th, 2013 at 10:59 am and is filed under Christmas, Make-up, Swatches, Tried & Tested. You can follow any responses to this entry through the RSS 2.0 feed. You can skip to the end and leave a response. Pinging is currently not allowed.